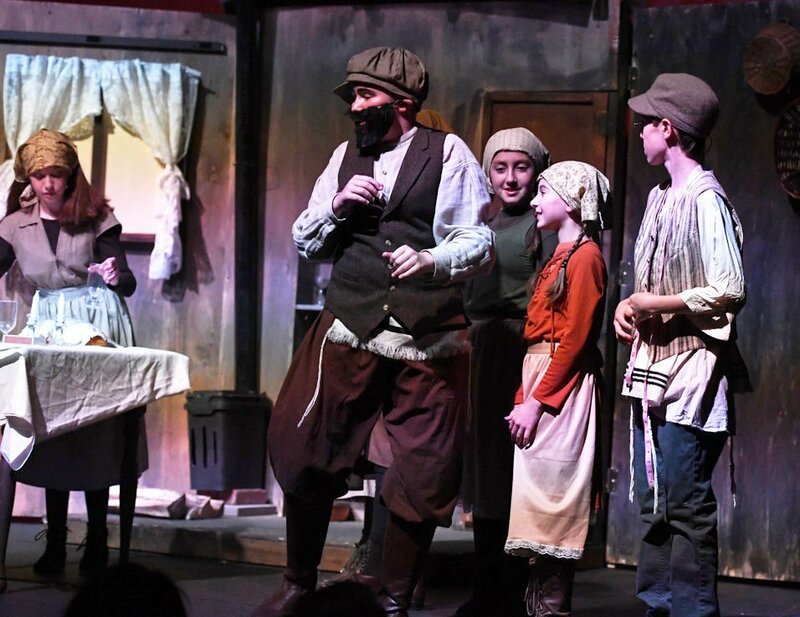 Jackson Schutter played Tevye in Pardes Jewish Day School’s production of “Fiddler on the Roof Jr.,” directed by Steven Campanelli, Pardes director of performing arts. The production, dirwected by Steven Campanelli, Pardes director of performing arts, was performed May 17, 18 and 21 on the stage in the school’s multipurpose room using a new sound and lighting system. The set, which included a portable house and a cart pulled by the main character, Tevye, played by Jackson Schutter, was built for the show. “Fiddler on the Roof Jr.” addresses the themes of changing times from the old-world of matchmakers to the newer world of young people finding love, as well as issues of race, culture and religion.